Watering: water thoroughly, then allow soil to almost dry out before watering again. Fertilizing: feed every 2 months during spring and summer, less if at all otherwise. 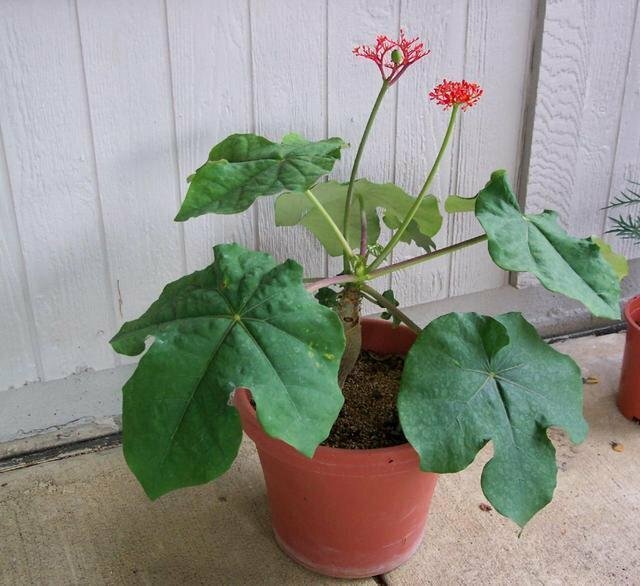 From the top of this plant’s unusually lumpy stem, it grows large leaves and clusters of bright red flowers in the summer. It stores water in it’s thick stem, so it can survive drought. A very unusual, conversation plant.